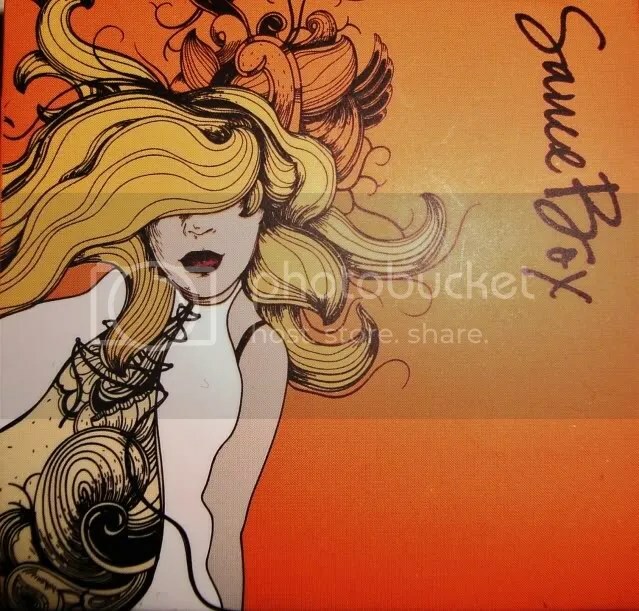 Saucebox Cosmetics: A Review & a Special Offer! Click the banner to visit Saucebox’s website! I hope you’re all having a lovely Sunday night. I’m taking a quick break from studying (it never ends!) to share a couple of great products that I ordered from an up and coming cosmetics company here in LA called SauceBox Cosmetics. I heard about them through my makeup artistry school and decided to pick up a blush and some new shadows. Alla, one of their awesome reps, has extended a discount to my readers that I’ll share at at the end of the post. The banner at the top of the post is the artwork on the boxes their products come in, isn’t it adorable? The blush and shadows I ordered come in sleek black snap shut containers that are lightweight and portable. -Blush in Cocktail: A cool toned candy pink with just a hint of frost. Very pigmented and soft powder that blends really easily. Loved the pop of color this provided. A little goes a long way and as you can see, it photographs well without being grainy/powdery. -Bold Effect Shadow in Queen Bee: A bright, pigmented yellow with just a tiny bit of frost finish. Also really soft texture that blends very easily. I didn’t have any true yellows before, and I cannot wait to use this! -Bold Effect Shadow in Torch: My favorite out of the bunch, this is a true orange shadow that’s beautifully pigmented, blends like a dream, and just stole my heart. 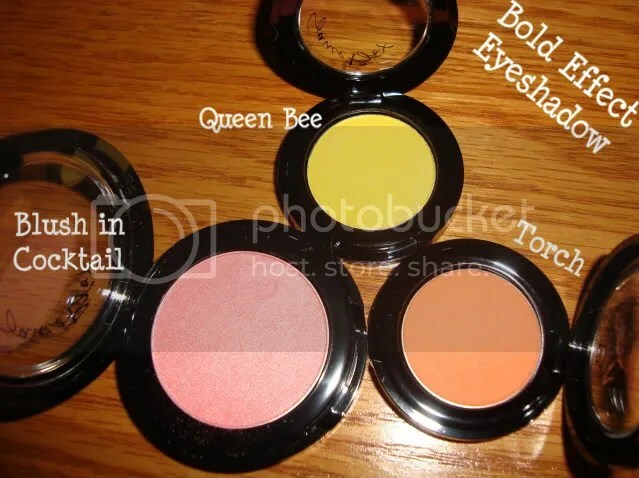 I’ve been leaning toward citrus colors recently and I’m excited to use this with Queen Bee in an EOTD post. I’m really happy with my purchases and I’m looking forward to trying more of SauceBox’s products soon. The customer service was fantastic and thanks to Miss Alla, I’m happy to share a 30% off code with all of you lovely ladies. The code is NLM30 and shipping is free right now with every purchase (will find out how much longer that’s going for). Try them out and let me know what you think! 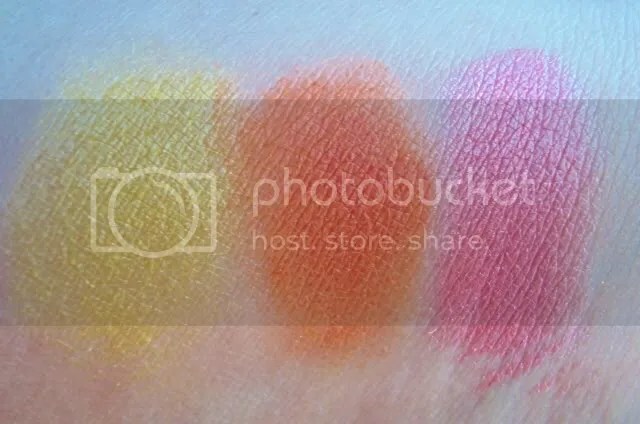 This entry was posted in Bargains/Deals, Beauty on a Budget, Hauls, Makeup Reviews, Makeup School, Product Raves and tagged blush, cosmetics, orange, pink, saucebox, saucebox coupon code, shadow, special offer, yellow by Vanessa. Bookmark the permalink.